A magnitude 6.4 quake on Sunday hit western Argentina, northeast of Santiago, the capital of neighbouring Chile, the U.S. Geological Survey said. 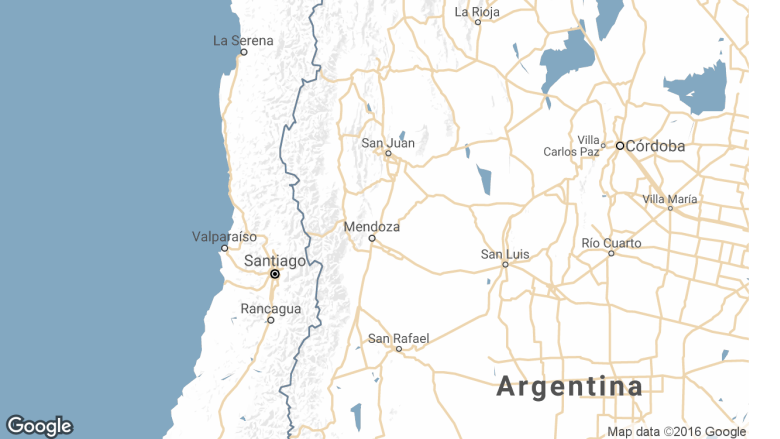 A strong quake hit western Argentina, shaking buildings as far away as Santiago, the capital of neighbouring Chile, though there were no preliminary reports of damage to people, infrastructure or basic services. Chile's navy ruled out a tsunami after the quake, which the U.S. Geological Survey said was a magnitude 6.4. The quake's epicentre was 25.75 kilometres southwest of the Argentine town of San Juan, and about 290 kilometres northeast of Santiago in Chile. The tremor was initially reported as a magnitude 6.7 but was later downgraded. Chilean state-owned copper producer Codelco, the globe's largest copper exporter, said that none of its operations were affected by the quake. Codelco's Andina and El Teniente mines are located in central Chile, not too far from the quake's epicentre. Alejandro Giuliano, director of Argentina's seismic institute, said there were no preliminary reports of damage but added that he "could not rule out that poorly built constructions near the epicentre had suffered some damage." Though the quake "feels strong it is (actually) of moderate magnitude," Giuliano said. Although a magnitude 6.4 is considered a strong earthquake capable of causing severe damage, it was fairly deep — 115.71 kilometres below the Earth's surface, which would have lessened its effects. Additionally, Chile and Argentina are accustomed to frequent quakes. Situated on the Pacific "Ring of Fire," Chile runs along a seismic zone where tectonic plates rub up against each other. It is one of the most earthquake-prone countries in the world, and in 1960 was hit by a 9.5 magnitude quake, the strongest in recorded history. In recent years, the biggest quake to hit Chile was an 8.8 magnitude tremor that struck the central-southern region in 2010, triggering a tsunami and killing more than 500 people. Practice drills are frequent in Chile, and builders follow strict construction codes, all of which tends to limit death and destruction when tremors hit.